This irresistible candy was supposedly created by a man named George Renninger back in the 1800s. He worked for Wunderlee Candy Company and was the genius who concocted this spooky treat. Mr. Renninger, we salute you. As much as we love George Renninger for coming up with the candy, he did not exactly come up with the best name. When it was first manufactured, it was called “Chicken Feed” since it looked so much like corn kernels. Not exactly appetizing! Luckily, as the sales of the candy stalled, someone had the bright idea to make some adjustments and the name was changed to “Candy Corn”. Apparently, we are not the only ones who love candy corn. Over 35 MILLION pounds of it are made each year. That’s 9 BILLION pieces! Now we do not feel so bad about the hundred or so that we eat each year. As if you didn’t know that, right? But did you know that 19 pieces equal 28 grams sugar? Now, exactly how many pieces did your kid eat last night? No wonder they had so much energy! 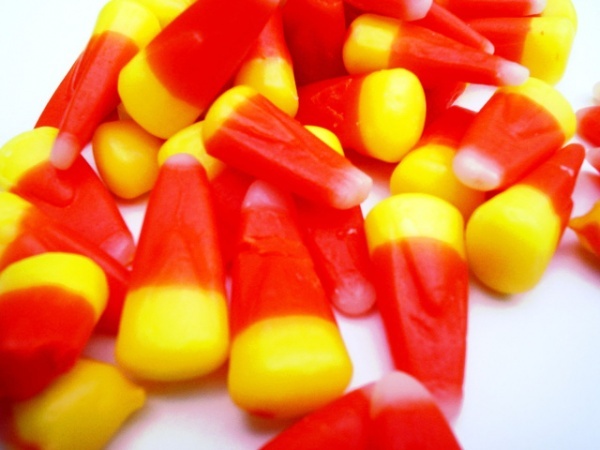 We love Candy Corn so much that it is actually earned its own holiday. October 30th is officially national Candy Corn Day and has actually inspired quite a few candy corn themed desserts that you should try. Hop on Pinterest and find one to make this year in honor of this magnificent candy. While the triangle shape is the most popular form of candy corn, these treats also come in the shape of pumpkins and even come in flavors like caramel, peanut butter cup, and sea salt chocolate. We will stick to the good old fashioned pyramids, but it is nice to know there are other options should we feel so inclined. If you have been under the impression that each section has its own taste, I hate to inform you that you are mistaken. While the candy is made of three main ingredients (sugar, corn syrup, and marshmallow) they are all blended together to make one delicious flavor. So there is no reason to take three teeny-tiny bites, people. Did you learn something new about candy corn? I definitely did! But no matter what we learn, one thing stays the same: we can’t get enough of it. So pass the bowl and grab another handful! We will pretend we do not know how much sugar is in that serving if you do.